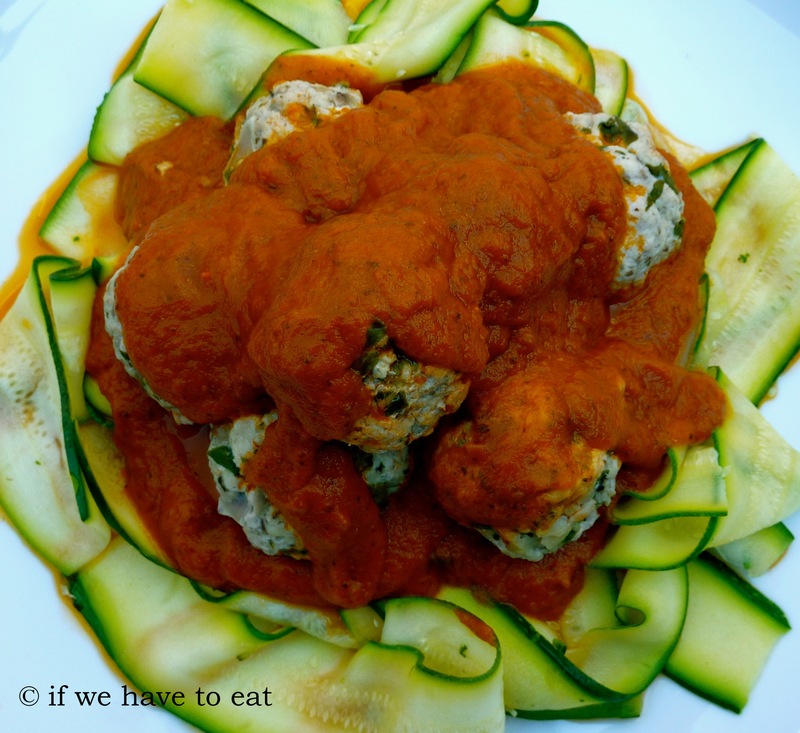 I wanted a recipe for a non-chicken dish and pork meatballs came to mind. I’ve used mushrooms instead of breadcrumbs and the spinach adds colour and helps to keep the meatballs soft. I also wanted to include zucchini ribbons as a replacement for pasta, so these go into the Varoma towards the end of the cooking time. 1. The cooking time for the meatballs will vary depending on the amount of fat in the mince. If the mince has more fat in it, it will need the full 15 minutes. If the mince is leaner, then check after 12 minutes. This entry was posted on February 9, 2014 by ifwehavetoeat in Mains and tagged Mains, Make Ahead, Meat, Recipe, Thermomix, Varoma.